Comment: I'm interested in having a home in Oreana, Il inspected to make a decision on whether to make an offer, etc. Comment: I'm looking at a HUD home for potential purchase in Argenta, Il. It has two known problems. The property condition report states the plumbing "doesn't maintain adequate pressure", and in my own inspection, I noticed a small amount of mold around a window with a failed seal. I'm looking for a more thorough (professional) inspection of the house to determine if the house has issues beyond what I've discovered, and obviously to make a judgment on whether the house is worth buying. Oreana Home Inspectors are rated 4.97 out of 5 based on 11 reviews of 2 pros. 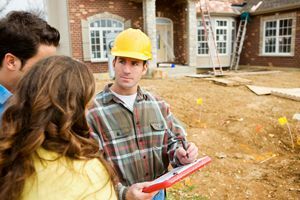 Not Looking for Home Inspection Contractors in Oreana, IL?